In the books, put it. 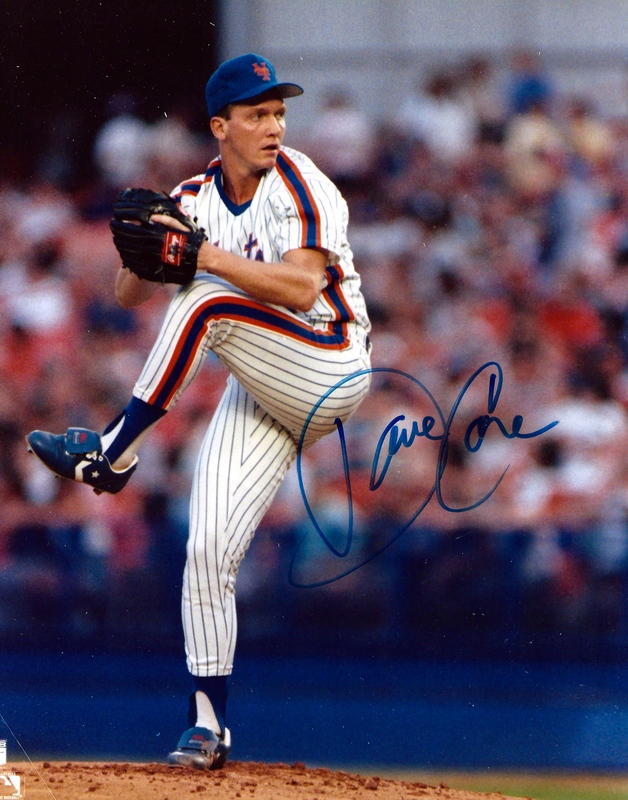 STILL HAVE my David Cone autographed 8×10 glossy, purchased at a baseball card show (what are those?!?) circa 1990. I can recall hearing on the radio that he’d been traded to the Blue Jays in August ’92. I was crushed. While I can’t express as eloquently as others have the emotional roller-coaster of being a former die-hard, I am very much in their tent when it comes to the New York Mets. They were my first irrational sports love, and since then, have remained one of the teams that occupies a permanent place inside me. Admittedly, and without shame, I’d call my Met fandom today a fraction of what it once was. Now when I cheer, out of respect for the every day, pavement pounding, orange-and-blue collar fans, I cheer quietly ; in the same way many Catholics describe their faith, I say I’m lapsed. But I also contend, as evidenced by the sporadic but unmistakeable ways that it surfaces every so often, that my Met-love won’t ever completely be gone. Which is why since they won the National League last night for the 3rd time in my lifetime, only their fifth pennant in 53 seasons, I’ve had Mets on the brain, dripping in bits and bursts into a notebook and then above. Somethings, when you learn them young enough, simply become a part of you. They might fade like the snapshots in Back to the Future (sorry, Cubs fans), but in time, the real stuff always returns.